There is no general rule that can be used to predict the pattern of use of a central nervous system depressant for a given individual. 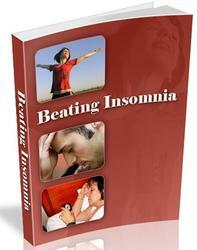 Often there is a fine line between appropriate therapy for insomnia or ANXIETY and drug dependence. Some individuals exhibit cyclic patterns of use with gross intoxication for a few days interspersed with periods of abstinence. Other barbiturate or benzodi-azepine users maintain a chronic low level of intoxication without observable signs of impairment because of the development of tolerance to many of the actions of these drugs. When higher doses are used, however, the intoxication may resemble alcohol intoxication, with slurred speech, difficulty thinking, memory impairment, sluggish behavior, and emotional instability. Withdrawal from chronic barbiturate or benzodiazepine use can also be manifested to varying degrees. In the mildest form, the individual may only experience mild anxiety or insomnia. With greater degrees of physical dependence, tremors and weakness may also be included. In severe withdrawal, delirium and tonic-clonic (epileptic) seizures may also be present. This severe withdrawal syndrome can be life-threatening. The degree of severity of the withdrawal syndrome appears to be related to the pharmacokinetics of the drug used. Shorter-acting benzodiazepines and barbiturates produce much more severe cases of withdrawal than do the longer-acting drugs. Therefore, in the case of severe withdrawal symptoms associated with the chronic use of a short-acting drug, a longer-acting drug should be substituted. The dose of this drug can be gradually decreased so that the individual experiences a much milder and less threatening withdrawal. suits in a facilitation of GABAergic neurotransmission, producing an inhibitory effect on neuronal impulse flow in the central nervous system.